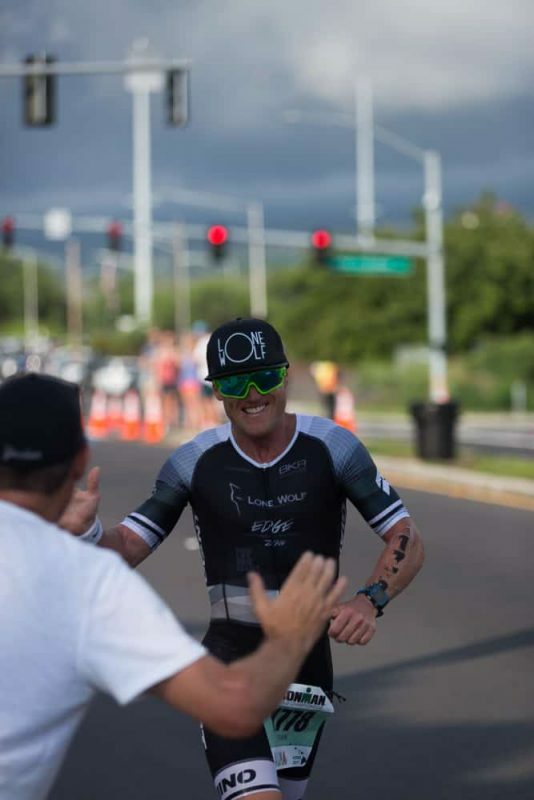 The 5 day Kona Spectator Experience is perfect for the spectator or athlete who has not qualified to race in Kona but still want to soak up all the action and explore the Big Island. Want to watch the best show on earth? Then the Kona Spectator Experience is for you! 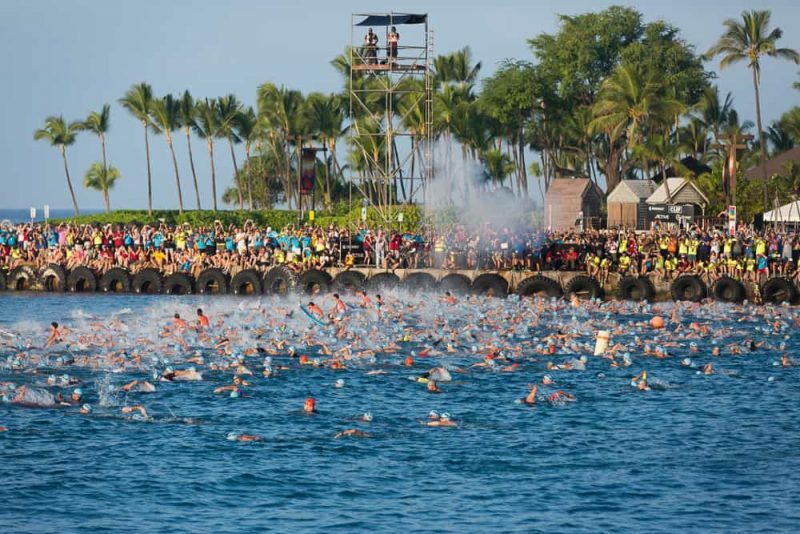 This tour is the ideal way for spectators to witness the spectacle of the IRONMAN World Championship. 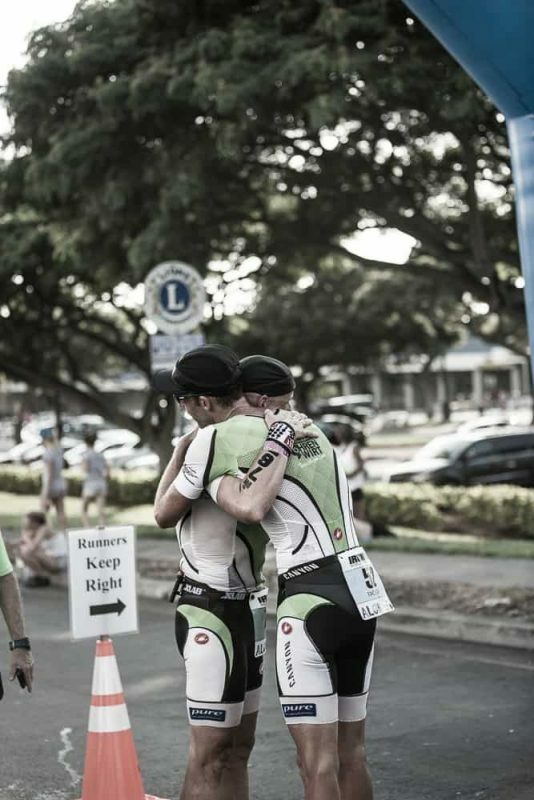 You will be treated like a VIP from the moment you arrive on the Big Island, and Tri Travel provide the best itinerary for spectators to soak up all the action and excitement of race week. 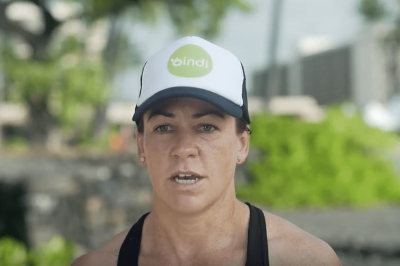 Tri Travel have been travelling to Kona for the Ironman for 20 years, so we know the best way to experience the biggest Ironman on the planet. 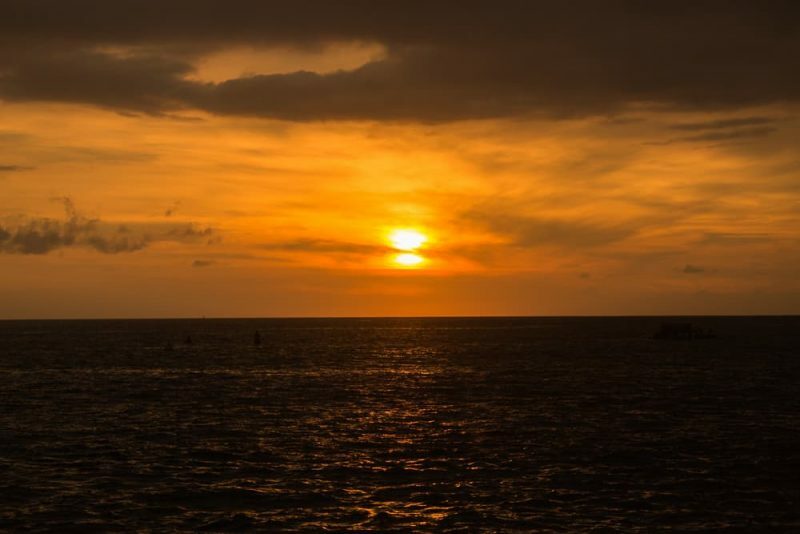 Our team members enjoy the best accommodation close to all the action, they eat at the best restaurants, drink the best coffee and go to the best parties in Kona. Not only that, on race day, only Tri Travel tour members get to experience the Queen K in all her harsh glory out in the middle of the bike course. Our fully stocked Tri Travel tour bus takes spectators out to the most harsh and unforgiving part of the course to witness first hand what the athletes are experiencing, far away from the crowds in town who are awaiting the athletes’ return. Our colourful and loud tour group are a welcome sight for the athletes, too, who have been riding alone in the lava fields. This fan experience truly is the greatest way to witness this race, and it is unique to Tri Travel. So if you want to fully experience this great race and everything that race week in Kona offers, then do it in style with Tri Travel. Becoming part of one of our tours instantly gives you a family, and that's the way we operate. We support, encourage and stand beside you for every step leading up to when you step into the water. The Tri Travel team will greet the main Tri Travel group upon arrival at Kona airport. We will help you load your bikes, luggage etc. and get you to your accommodation as quickly as possible. We will point out the smaller local shops near your accommodation for you to purchase incidentals with the larger shopping done tomorrow. Tonight, the Tri Travel Team is hosting a welcome party Luau at Royal Kona, located on Alii Drive for spectators only. The return journey will be approximately 10 mins after the conclusion of the briefing in the car park. 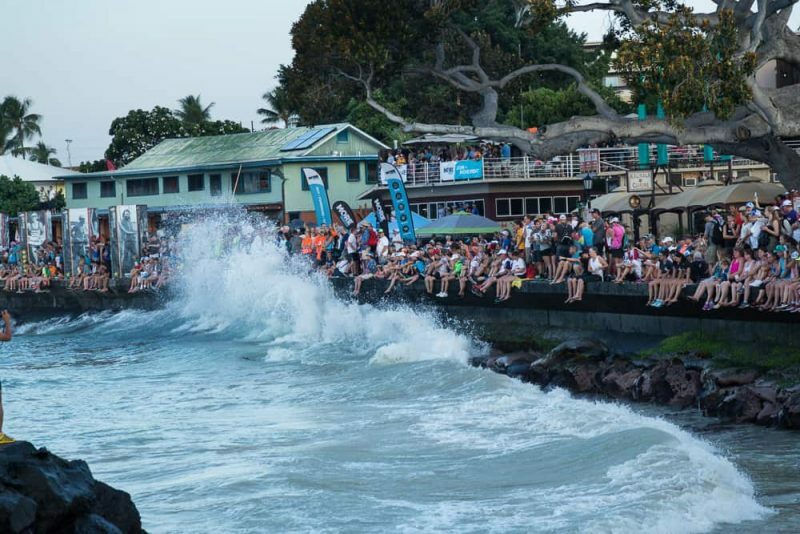 This morning spectators will have the chance to see the sights of Kona. Tri Travel has arranged a morning breakfast at 9:00am. It is a great morning to celebrate and talk about yesterday’s events and watch the Tri Travel Tour week video.